The Aquarius man is the original rebel. He poures deep over what makes the world tick and comes up with ideas and hypotheses which seem to be way ahead of his time. This is why he is attracted to the new and different. So the best way to get the attention of your Aquarius date would be to stand out from the crowd not so much in terms of dress and appearance but in your approach to life. Show him that your thoughts and ideas do not take their counter from mere tradition but spring up from your own mind. If this seems too complicated, just make sure to avoid the trite and the conventional. Don’t for instance root for the latest band or a football team just because everybody else seems to think they’re great. Reveal your individuality in opinions and actions and your Aquarius date will look at your anew. The great innovator that he is, the Aquarius man is attracted to the highly advanced, whether in case of ideas, knowledge or technology. This is evident from the fact that he is often a sucker for the latest gadgets or the newest gaming consoles. So when you are in his company don’t take pride in being technologically challenged and crib about how modern science is destroying the world. Even if you do not share his enthusiasm for gadgets that look like tablets and cost the earth, adopt a more balanced view about how new thoughts and knowledge should be used. Alternately, you could try out the helpless Susan act and ask for his help in recording your favorite TV show while you are out. Aquarians love to help others and soon you will have your man fiddling with DTH recorder in your own apartment while you can think of other things to do! Like the element which characterizes this sign, Aquarians are airy detached people. They are not comfortable in deeply emotional relationships and like their actions to be governed by their rational mind. An Aquarius man will be proud of his individuality and keen to keep his personal affairs to himself. As a result he might want to maintain a distance even with people he is fond of. So if you do not find your Aquarius date ringing you up twelve times a day and crashing your inbox with insistent mails, take heart. This is a guy who is cool and collected in his personal life and will move away from entangled, messy affairs – which is also probably why you were attracted to him in the first place! Physical intimacy need not be a pressing requirement in a relationship for an Aquarius guy. 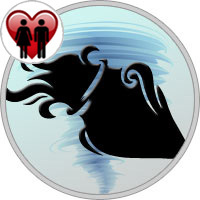 He can make a devoted caring partner but is unlikely to burn with the heat of an intense passion like a Scorpio man. Interestingly, Aquarians can prove to have an encyclopedic knowledge on sexual matters which is probably because of their innate curiosity about how things work and can be improved upon. However when it comes to practical application and in their own lives, they may not find the idea so thrilling after all. The thing about personal relationships with Aquarians is that they need to feel free. He is not your guy next-door who likes a bit of dating and then willingly goes through the ritual of marriages, children and divorces. For him romance is much more than conventional notions of marriage and family. And he is definitely not one to succumb to any value system just because it has been validated by tradition. In fact an Aquarian may be rather partial to the idea of open marriages where neither partners are bound by restrictions and expectations. Romance to an Aquarian guy is more about companionship and compatibility – especially intellectual. Above everything, you need to be a friend to your Aquarius man with whom he can look forward to an intelligent and lively exchange of thoughts and ideas. How to know if an Aquarius man loves you? Aquarians can be amongst the most frustrating people to date at the start of a relationship. Being independent and often emotionally reserved it’s common for partners to be unsure of their feelings. The good news is that Aquarius men rarely date someone they aren’t interested in. They typically don’t feel the need to always be dating someone in the same way that more emotional signs sometimes do. It’s nearly always safe to say that if your Aquarius goes on more than 3 or 4 dates with you then he is definitely interested. As a side on this, they typically wont consider a sexual relationship prior to establishing a mental connection with you. If they seem reserved sexually when first dating that typically isn’t a bad thing. It’s very important however to focus on the mental (conversation) connection between you and not press them sexually in that situation, as that will typically turn them off or push them away. First dates with Aquarians should be fun and not too romantically claustrophobic. They’d rather roam together, or in a group of friends, than go through the usual "getting to know you" questions. Right from the start, you may notice they have short attention spans, following the shiniest thing in the room. They may flirt openly with others, and not think it’s a big deal. If the electricity is there between you, though, that’s a good start. Another quirk of Aquarius is their ability to vanish into thin air. They defy the usual beginning of the relationship courtesies, and call when and if they want to. They don’t stand on convention, and if you call them on it, they’ll likely be offended. They follow their own sense of timing, which may mean long periods where they are MIA, followed by rapid-fire texting and emails. They may want to urgently get together, but then seem indifferent. Part of loving Aquarius is accepting their unusual relationship to time. They may be late for a date, because they lost track of time. Or they may make a surprise visit to your work place that breaks all taboos. They demand privacy, and have a reputation for being the sign most likely to sleep around. You might find out later that your Aquarius "friend" has been sleeping with you and two other people. What counters this behavior is the fact that they’re usually respectful of your privacy as well. But remember that just because Aquarius doesn’t tell you they’re seeing other people, doesn’t mean it’s not happening. With the kind of traits he has, he is bound to get bored easily. You need to give him reasons to be drawn to you time and again. The kind of surprises would depend on the relationship phase you are in. For instance, if you have become a good friend of his quite recently, get him something nice and thoughtful based on his interests. It needn’t be a big and expensive gift, perhaps a ticket to an art fair? Being a creative being, he would love to explore and analyze some good artwork. It would be good to keep things exciting when with this guy. A surprise dinner at a wacky spot, some intriguing games, or a good documentary? The bottom line is to never let your routine get mundane. Something stirring must take place for him to stick around. Therefore, show your amazing facets to him, step-by-step so that he feels that he is still exploring you, and that you still have a lot of unexplored facets to yourself. These tips will be well worth the effort, if you are "actually" what these points demand. You know, you can pretend to be all that you’re not, but it would not last forever. Aquarians are great observers, and your facade would be revealed within no time. If you think of it, the last thing this man would want is to be with a person who is a total sham! Remember, he loves diversity! It doesn’t matter if you’re just not his type, if you are true to yourself, he will respect that. Otherwise, you will be out of his zone without any prior notice.